Increase your shop productivity with the ability to etch monuments at speeds of up to 150 ips. 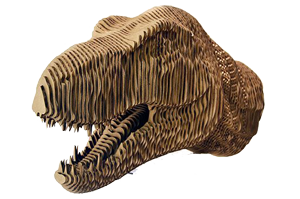 Increase your shop productivity with the ability to etch monuments at speeds up to 150 ips. For example, a square foot of etching on granite can be completed in less than 4 minutes! Available in 30, 50, 100, 150, 200, 250 and 400 watt configurations. Bed Sizes from 52”x25” (1320x635mm) to 52”x100” (1320x2540mm). USA Made Laser Head: All lasers sold by Kern are designed and manufactured with pride in the USA. High-Speed Servo Motors: The MICRO motion package is powered by servo motors on both axes allowing for engraving at speeds up to 150″/sec with 5G’s of acceleration. Downdraft Table / Vacuum System: Smoke, fumes, and small debris are all removed by a vacuum system that pulls from both below and above your material. A downdraft vacuum will hold your material down to the table while it is being cut and engraved. Computer and Laser Software: A high-performance computer and monitor are provided with each laser system. 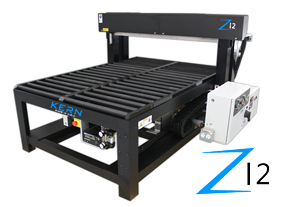 Kern’s state-of-the-art KCAM laser cutting and engraving software is included on every laser system. An easy to use printer driver will send your vector and raster files to the laser. Upgrades to the KCAM software are always free of charge and readily available on our website. Your choice of design software such as CorelDRAW®, AutoCAD LT® or Adobe lllustrator® is also included. UL / CE / CDRH: A UL certified electrical panel is placed on each laser system which turns on and shuts down components of the laser system. MICRO laser systems are CE compliant to meet European Union consumer safety, health and environmental requirements. U.S. CDRH compliance requirements are upheld on the MICRO laser system to meet specifications in 21 CFR, Subchapter J, parts 1040.10 & 1040.11. Chilling Unit: A closed loop chilling unit is included on all laser systems of 100 watts or greater. This chilling unit will keep your laser head cooled and running smoothly. Quality Bearings, Rails, and Belts: A top-of-the-line motion package includes parts selected from US companies that value the idea of high tolerances, great repeatability, and precision accuracy. Small Footprint: If not equipped with the steel stand, the MICRO laser system will fit through a standard 36” doorway.